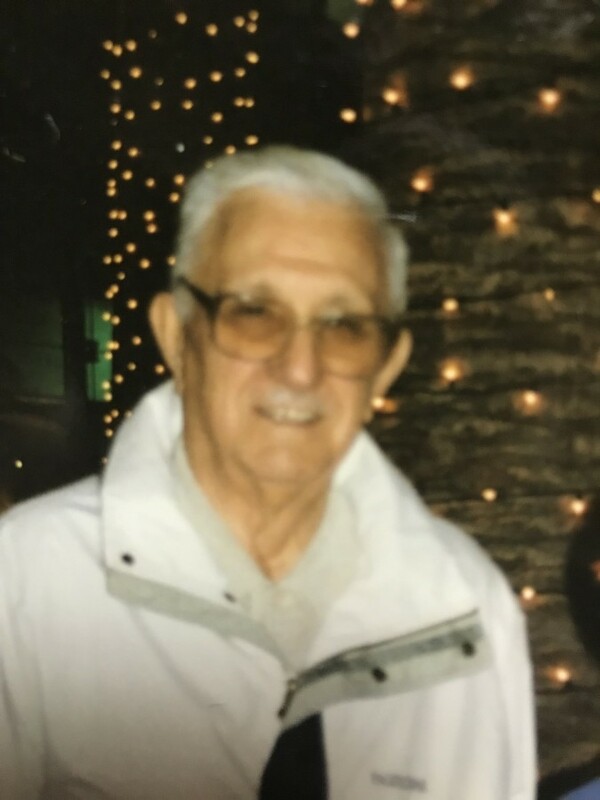 Dominic A. Cersosimo, retired U.S.M.C., of Stowe Township passed away peacefully on April 2, 2019 at the age of 97. He was the son of the late Leonardo and Michelina (Bruno) Cersosimo; beloved and devoted husband to the late Elizabeth (Casper) Cersosimo; beloved father to Dominic (Maryann) Cersosimo, Elaine Cersosimo, and Michael (Jennifer) Cersosimo; proud and loving grandfather to Eric (Angela) Cersosimo, Sydney Cersosimo, Amanda Kasten, and Lauren (Joshua) Taylor. He was preceded in death by brothers and sisters; Joseph, Andrew, Antoinette, Angeline, Victoria, Rocco and Leonard. Dominic was a highly skilled Mason, building many homes in the area and he was retired from the Allegheny County Housing Authority. Dominic enjoyed gardening, hunting, fishing, dancing, and vacations at the beach. He and his late wife were devoted members of Mothers of Sorrows Church. He was proud to have served in the United States Marine Corp. where he held the rank of Staff Sgt., assigned to Fighter Squadron 322 during the assault on Saipan, Okinawa in the Pacific Theater. During his career in the U.S.M.C., he received many commendations, including the Purple Heart, the Bronze Star, and the Navy Citation for Valor. Dominic was active in many organizations, including the Marine Corps League, VFW, American Legion, ITAM, and Soldier and Sailors Hall. He fought for the rights and benefits of Veterans and was on the committee to build and the dedication of the WWII Memorial located on the North Shore. In lieu of flowers, donations can be made in his name to USMC Scholarship Fund, Wounded Warriors and the DAV (Disabled American Veterans). Thank you to the staff and Kane Regional Scott Township for taking good care of Dominic. Family and friends will be welcomed on Thursday, from 2-4pm and 6-8pm in the Sanvito Funeral Home, 1650 Broadway, Stowe-Kennedy Township. A blessing service will take place on Friday at 8:45am in the funeral home. Interment to follow at the National Cemetery of the Alleghenies with full Military Honors. Semper Fi " Oorah!"